Visitors who are exploring the shops off of College Road, Market Street, and Eastwood Road can cap off a long day with a true Hibachi experience with a visit to Hiro Japanese Steak House. Offering the full “show,” with complete Hibachi meals prepared by talented chefs, as well as a long list of sushi rolls, appetizers, and other delicacies, this central steak house and sushi bar will appease any Japanese cuisine lover. Patrons who want the full experience will want to sit at the custom Hibachi tables and order from the Hibachi dinner entrees and combination entrees, which include main proteins like filet mignon, tuna, lobster, shrimp, and scallops, and which are served as a full multi-course meal with house salad, clear soup, shrimp flambé, zucchini & onion, yakisoba noodles, and fried rice. Patrons who have a lighter appetite, or want a quicker midday visit, will want to peruse the extensive sushi menu, which boasts all the classic rolls as well as some more unusual additions, or check out the long appetizer list, which has enough items to double as a small but distinctive meal. 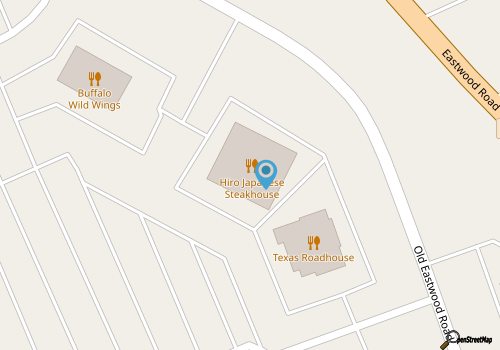 With lots to choose from, and all the staples of Hibachi cuisine, Hiro Japanese Steak House is a centrally located destination for a tempting dinner and a show.